Religious Education at St Thomas’ is not confined to Religious Education classes or liturgical occasions. Christ is at the centre of all of our endeavours. As a learning community joined together in faith we aim to bear witness to Christ’s vision and values in all aspects of school life. All members or our school community (parents, students, staff and visitors) are called on to treat each other with respect and dignity in our relationships, through our words and actions. The religious dimension of the Catholic School is therefore present, to some degree, in all the activities of our school community as the resurrected Jesus lives through, with and in each of us in the all of the events of our school day. Each year level prepares and leads one mass each year. Teachers are responsible for preparing students to celebrate Eucharist by practising responses and selecting suitable readings, prayers and hymns. Teachers work with the APRE to prepare for class masses, ensuring that our Parish Priest receives a copy of the upcoming liturgy at least one week prior to the event. 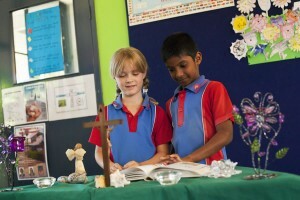 Students in Years 4-6 celebrate the Sacrament of Reconciliation as a class, twice a year. Teachers prepare the students for Reconciliation in class RE lessons, revising the prayers and responses used in the sacrament. Students in Year 4 receive the Sacraments of First Reconciliation, First Eucharist and Confirmation as part of the Sacramental Program in the Catholic Parish of St Thomas of Villanova, Mareeba. 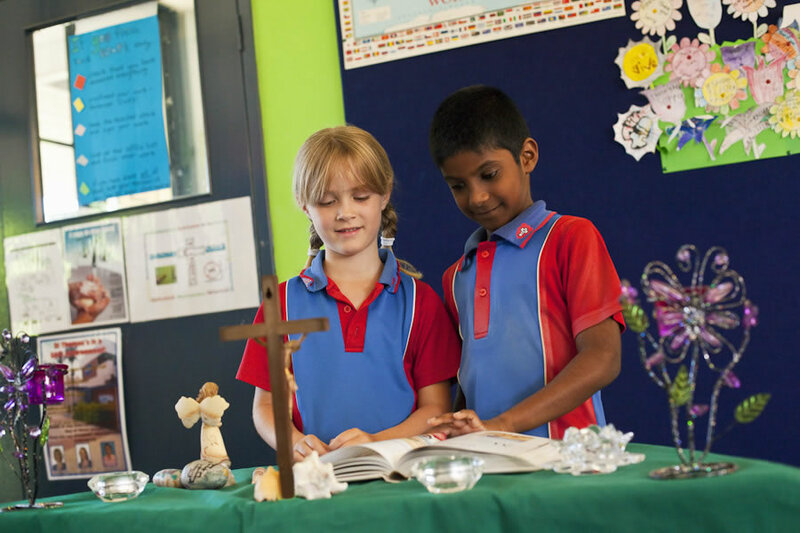 Catholic students in Year 4 will receive information about and share in the planning and preparation for receiving each of the sacraments as part of the Parish-based Sacramental Program. A number of parents, students and staff share their gifts as special ministers in our school and parish liturgical celebrations as altar servers, musicians, readers, gift bearers, extraordinary ministers of Holy Communion and preparing the church for Celebrations of Liturgy of the Word or Eucharist. SEL competencies are prioritised and are deeply embedded into the school curriculum and are supported and complemented by our Religious Education program and school values, culture, rituals and practices. Prayer, as the raising of heart and mind to God, is a wonderful opportunity for students and staff to celebrate life and our identity as members of a worldwide Church. Our school prayer is said at the beginning of our weekly school assembly, led by our school leaders. Our whole school Formal Prayer Overview outlines Traditional and Liturgical Prayers and Responses and we draw on many other sources of inspiration including our links to Augustinian and Mercy Charism to nurture the prayer life of our school. Prayer may be used in classrooms to: begin and end each day, thank God for food and to recognise and celebrate God in our everyday life. Teaching staff are asked to prepare and lead Staff Prayer.